This is an OCC thread, so discuss the role play. pretty basic stuff. You can also talk to my strange fish. Personality: Dabberjack is very serious, he takes things very litteraly. He enjoys the company of other dragons, he would probably not last long if he were without company. Appearance:Lydia is fully black with green eyes that glow in the dark. Her left wing is torn at the edge when a stray griffin attacked her. Personality: Lydia has a short temper and is very stubborn. She doesn't make friends easily and can be quiet aggressive. Personality: Tries to appear tough and mean, but he has quite the soft side once you get to know him, and is rather chivalrous at times as well. Other: ZATCTOT. Will most likely reveal more about him as the plot moves on. Crush/Mate: None, will begin looking right away. Talents: RP'd, nothing combat related. 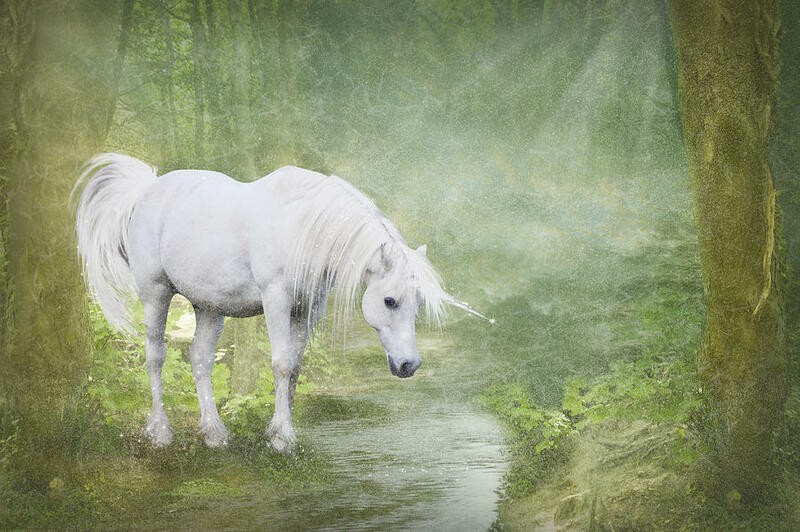 Appearance: Linden is a light gray Hippogriff with faint specks of brown on her head and body. Her eyes are a bright yellow, and she has a bluish streak on her left wing. Personality: Linden is normally a calm, carefree Hippogriff, that is always reliable and willing to help. But occasionally she has a darker personality that may not be as likable. Talents: She's an excellent flyer, and quiet fast as well. Personality: Troulce is a loner, who respects little but power. He often hurts other's feelings by accident, but rarely notices. However, he is a loyal friend if you can get him to respect you. Talents: Very sharp senses, good fighter. Appearance: Aurase has a slender, long body with bright teal scales that are slightly paler than a normal Black Capped Teimarr. Her tail, legs, and wings, are lined with gleaming golden scales, with pearly white scales on the underside of her large, powerful wings. Aurase also has a black cap of the top of her head, the trademark of the Black Capped Teimarr. Personality: Aurase is a brutally honest dragon with a gentle voice and an even gentler demenor. She rarely raises her soft voice, but is good at using words to allow someone to understand her emotions rather the shouting or crying. Though she does not always like to, she good at guilt trips and making someone feel small if they deserve it; one of her odd quirks. She is a good listening and is seen often times giving out advice or lending a shoulder to lean on for those who simply listen. Talents: Aurase has a special ability in the art of healing. She is also an excellent flier, a common trait in the Black Capped Teimarr breed. Personality: Not one for interaction. He will usually go off on his own to do thing but is okay hanging with others. Will leave at the smallest sign that he is unwanted. Talents: At a young age, he can shock things like touching a door knob to killing a small animal. Personality: Very friendly, he will talk to whoever he see, sometimes all at once. He does his best not to be annoying though. He will be as friendly as possible, but will fight if necessary, he prefers to use his abilities to help and play with others. Personality: Stars Galaxy is playful and friendly dragon. She is soft-spoken and cares for her friends. She tries to be helpful and comforts those who need comforting. She cannot bear to hurt anyone's feelings and will do anything for her friends, including risking her life. She likes to sing. The songs that she sings are just usually her own made-up songs and they don't necessarily have lyrics all the time. She can just hum or whistle. She loves to eat sour grapes and being around friends. Crush/Mate: I was about to say that the text in the brackets was right but...you never know. Talents: Whatever sound she makes, it is beautiful and it makes others feel as though they would rather just stay there forever and listen. Some of the melodies she hums can actually put others to sleep. Personality: Cream Paler is a spoiled brat of a dragon. She's very bossy and acts as though she's the queen of the universe. She's haughty and vain and thinks that she has every right to order other dragons or beings about. She will NEVER apologise to anyone even if she is in the wrong. She will simply roll her eyes and walk away. She is incredibly impatient and lazy. Like other Flamingo Wyverns, she can be vicious. She is a rash dragon and jumps to conclusions. She likes it when her enemy underestimates her - she'd have a nice surprise to give her enemy. She is just as intelligent as other Flamingo Wyverns, but unfortunately, she's too lazy to put her brains to use most of the time. Unless she was desperate, of course. She is very, very afraid of fire. Anybody who knows her well doesn't trust her because she'd betray her friends if there was a group much stronger or smarter than her current friends. Talents: She is stronger than she looks and she knows how to fight. His wings are mostly blue with a green edge instead of the standard purple and blue. Personality: Holmar is quite shy, and a hopeless romantic. However, he can become quite talkative when he is amongst those he trusts. Talents: Can fly quickly, and is slightly better at telepathy than most. Username: Onixthe happy dancing bunny. Personality: Cerise is very extroverted. She loves to hunt, but can stay put if needed. She prefers to move gracefully and has a melodious voice. She can be a little hot-headed, so it's best not to make her angry because she is very strong. At first glance, she can be intimidating, but she can be a real friend once you know her. She likes to speak her opinions, which can get her into trouble sometimes. Crush/Mate: Not exactly good at hiding it, none right now. Talents: She is very strong, and is an excellent swimmer. She has an effect on others, whether it be jealousy, hatefulness or wanting to kill her (oh my), or love for her. 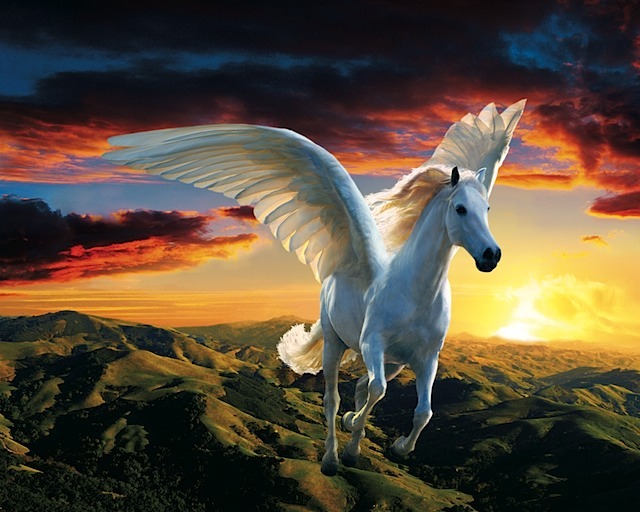 Personality: Sapphire is a nice pegasus and loves to fly. She can be mean sometimes but she is mostly friendly. Personality: She is very ladylike, but she isn't afraid to get her hooves dirty when necessary. She is usually very sensible, but can sometimes get panicked. She can sometimes act motherly, such as chiding a fool. Talents: What she lacks in speed, she makes up for endurance. She can fly for more than 2 days and only be a bit tired. Appearance: Tsumi looks just like a normal Blusang Lindwurm, witha long, slender body and an array of pale beige, sky blue, and midnight black scales. Personality: Tsumi is a cheeky, lively, sometimes sarcastic Blusang Lindwurm who does not know when to mind her own business and shut up. She can be endearing, and sometimes sweet in her naivety, though it could be annoying to someone who do not see the brightness in life but rather the darkness. She tends not to be a pessimist but is rather an optomist, and is quite vocal in her beliefs. She does have a bit of a temper though and uses both her claws and sharp tongue to attack before she thinks about what she's saying. Talents: Tsumi is an excellent hunter, mainly of fish. Personality: Moon Puff is a dragon that cannot speak. His vocal cords were somehow damaged when he first hatched so he is always mute. However, he does not let this get to him. He is a patient dragon and puts up with those who call him names because of his disability and sometimes bully him. He is helpful and kind to his friends and hates all forms of evil. He despises selfishness. He is also a very understanding dragon, so if one of his friends does something wrong to another being, he will patiently get to the bottom of it. He believes in his friends and is very loyal to them. Talents: As though to make up for his silence, he has extremely acute hearing. He communicates to other dragons with natural telepathy and has a strange connection with birds. They will often help him unless something or someone frightens them away. Personality: While having well potent of combat, Anhrak fears combat and prefers to avoid conflict. Crush/Mate: Rascha. Rascha is a Black Dragon as well, but has light-gray plates and horns instead of brown. They are from the same nest. They aren't really 'mating' partners for later, they are just good companions. Talents: Both Rascha and Anhrak have great speed and combat potent, ranging from natural strength to their dragon breath ability. They can live in any kind of temperature. Though, they fear confrontations, can only see in dark, and hate water. Other: Nope, dragons are still cooler than zebra's. I disagree... (((§ _◊))) and I tried to put up the image, but it didn't work. Username: Oni- Oh you know who. Personality: Errapel is very solitary and quiet- almost no one hears him speak. He likes to heal others because it brings him peace and satisfaction. It takes a lot to make him angry, but when he does, it can be scary. He tends to be awkward if you want to have a conversation with him. Crush/Mate: None, I was just born. Talents: Can heal the sick and bring back the deceased, but if he brings them back, they'll be very sick. He's also a PSYCHIC just like that one guy. Personality: Enya is always happy even if someone dies because then she would think of a way to make the occasion happy. She doesn't understand good and bad so it can take a while to convince her that a bear trying to attack you is bad and you don't just stand there waiting to be crushed. Personality: Leaf Scales is a cold, heartless dragon who gives no thought for others. She loves to spoil others' fun and thinks that everything should go her way. She has no friends and has never bothered to try to make any as she thinks that friends merely slow her down when she's venturing about. She cares for no one except herself. Another dragon's suffering is mere entertainment for her. Her type of fun is sneaking into a clan of dragons, create havoc, usually pulling some kind of prank that could have serious, and sometimes fatal, results, and hiding to see the aftermath with pleasure. She is a sneak, a rogue, a dragon that nobody trusts. She thinks being kind, generous, and friendly is all a waste of time and resources. She prefers to be alone. It is unfortunate that she does not know, nor does she bother to do so, to care for others. Crush/Mate: Nah, she probably won't have any, her heart's too stone cold. Talents: She is brilliant on survival and knows how to take care of herself. She's an earth bender. Other: ZATCTOT WTH DOES THAT MEAN?! Personality: Cheerful, Naive, and Gentle. These are a few words you could use to describe Cindiri. She looks at things in a simple way and is usually very optimistic. Even small things that others may not pay too much attention to can bring her great joy, this is because she is excellent at enjoying everything life has to offer. It is also easy for her to become crestfallen and lonely. Usually she locks up her true emotions and feelings, deeming it best not to trouble others. She worries about being a bother to others. She also has a very strong sense of justice. There is more I could write, but I feel that it would be more interesting to keep some things a secret for now. After all, she does tend to keep her feelings locked up. I will say though, she is afraid of the dark. Talents: Her greatest talent is her stealth. She is swift, agile, and silent when moving. She is not particularly fast, but even when running and flying she rarely makes a sound. Strangely, she is only able to preform minor healing magics. However, she has an okay knowledge on plants. Other: ZATCTOT. She enjoys singing when alone and sometimes dances too. Her behavior resembles that of a copper dragon but she still prefers fruits and berries over mean. Personality: Sweet nice always wants to have a friend. She's more of the listener not the talker. She is a very good friend and is extremely afraid of the dark and being alone. Other: Zatctot, also can she stay a hatchling for forever? Appearance: Green hatchling with yellow eyes, sharp small horns and yellow chest. Personality: Rin can be very sweet and caring but also tough. She is stronger than she looks. Talents: Fighting. Best at controlling her element. Personality: She is very loyal to her friends and will do most of what they ask her to do unless it will hurt another, emotionally or physically. Crush/Mate:Pfft... she's the only Griffin. Other: Secret code of secretness! Personality: Ley can be a bit cold, doughtful and unforgiving. But also sweet (a bit rare) and tough. Talents: Intimidation, target range, agility, and flight. Appearance: Her scales are a lighter color than most Ice Dragons and she has a dark blue diamond shaped marking on her head. Talents: Controlling ice and water... beware. She will give you Frost Bite. She has a good amount of magic. She is agile and a swift hunter. I really feel like you are just messing with me, I think you know what it is. Personality:Optimistic,doesn't know what to do if another dragon is sad,likes to make everybody happy,but is still mischievous at times.Also sometimes says random but useful information. Appearance: The webs on her feet are shorter than most ShallowWater dragons. They are no longer than her feet, so she is fast on land. But she is also an excellent swimmer. She has a lithe thin body built specially for speed. Both on water and land. She has a strong tail, so she can use it in battle. Personality: Shimmer Fin is a selfish, dishonest back-stabbing dragon. She will do just about anything to have power. She will even try to trick other dragons and control them so she can get to the top of everyone else. Not only that, but she likes to see others suffer and burn. She will even go so far as try to kill one of the hatchlings when they provoke her, ruin her plans, attack her etc. Talents: Has the element over water. And because she is a hybrid, and her dad is a Magi Dragon, she can control a bit of powerful magic too. She is also excellent when it comes to swimming and hunting. She also practices her mischeivious plans at night. Other: Zactot... wait... what is that? Personality: Saffron is a sweet, innocent dragon, and a little curious, though she does know when it's not her business. 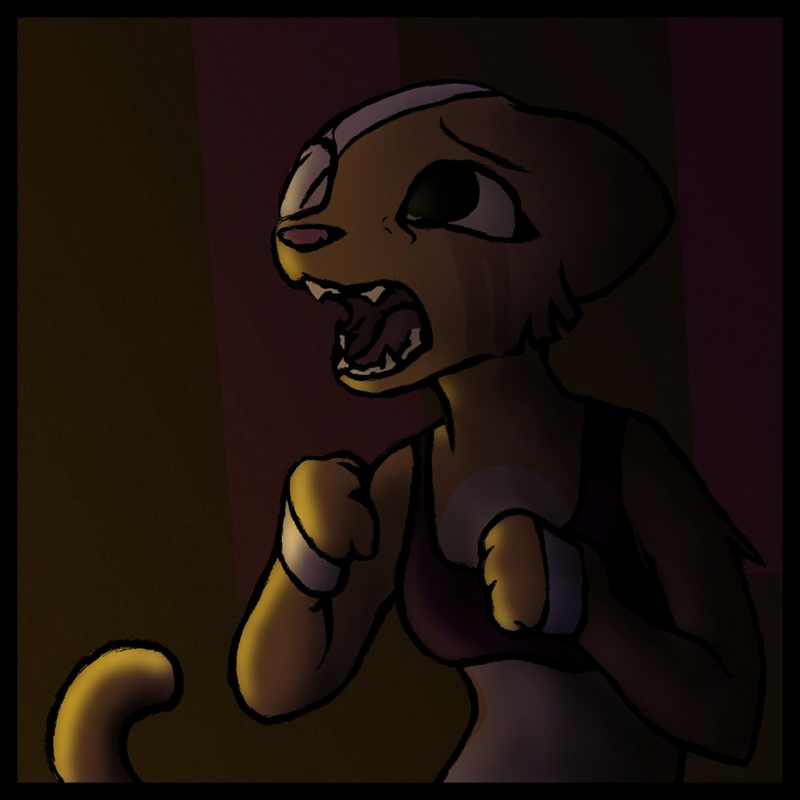 As a hatchling, she can be intimidated, but since she is sensitive, too much intimidation can make her cry and not do what the intimidator might want her to do. As an adult, she is less easily intimidated, sometimes making bold remarks that are almost always bluff. She loves making friends, but can hold a grudge if someone wronged her. If she wronged someone, she will do her best to apologize. She is also very artistic and creative. Talents: She is an unbelievably excellent climber and, when forced, serenity inducement. WRONG PASSWORD! I know you know it, you have other characters. Appearance: Just like every other Whiptail. Personality: Energy Twinkle is just like her name - she has so much energy, she's usually gone in the twinkle of an eye! She's very friendly and she just cannot sit still. She loves exploring new places, especially places that have a sense of mystery and adventure about them. She likes playing "Tag" with her friends and will often look over her shoulder and poke fun at whoever's it while running. She is slightly faster than other Whiptail dragons. She loves hunting too and her favourite thing to hunt is anything on four legs that she can chase. She uses her tail as a defence weapon to enemies. Even though fragile, she will not take flight. Instead, she will stand her ground and fight! Appearance: Has light blue eyes. His mane is a darker shade of purple. Personality: Ujurak is calm, sweet, and passionate. He rarely gets angry and tries his best to subdue fights, arguments and tension between the group. Whenever he does get angry, it quickly subsides. Ujurak is a vegeterian; he hates violence so he eats leaves and plants to avoid killing and hurting other creatures for food. He is also carefree and even though he knows how to use magic, he dosn't use it much. Sometimes he hears voices in his head to tell him the right thing to do. They guide him to the right place at the right time. Crush/Mate: He won't have one... but I might look. Talents: He can distract other hatchlings and creatures, make them daydream and sometimes he can even put them to sleep if he uses a heavy dose of magic. He is excellent at healing. He can create clouds and control them. He is the leader of herbs and all plants that heal. Ujurak will act feeble so others will portray him as weak in battle. But at the last moment, he will strike. Both mentally and physically. He has a VERY acute hearing. And he has a great sense of smell. Good sense of direction also. And he is very good on survival. Other: Zatctot! Ujurak is known for using various herbs. Appearance: His scales are never dirty, and he always seems to be perfectly clean. His wings are slightly translucent, and are fragile. Personality: Riad is very, very naïve. He will believe anything anyone tells to him, evil or otherwise. He also hates sadness and pain, and will try to help anyone suffering from it, be they good or evil. The only time he will not help somebody is if they murdered another hatchling. Crush/Mate: Maybe someday. Then again, if he's not accepted he's going to be very sad. Talents: Very good at healing, can fix everything short of death as an adult. Can heal over a distance, as long as he has a sight-line to the wound. Other: ZATCTOT What is that I don't even. Appearance:The blue variation. She has silver outlines along her body and has piercing bright red eyes that will unnerve anyone if they stare for too long. Personality:Quiet, and not the nicest, though she isn't counted as mean. She keeps to herself and rigidly trains herself to become the best. What for, no one knows, not even her. Slightly agressive and accusing. Talents:She has excellent magic and swims very fast. Excels at stealth. An agile fighter, she often ambushes her targets and quickly lands a fatal strike if possible. She has a clever and sly fighting style, not afraid to play dirty. Why is Iktria really crying? Um, because she does not know why she is able to talk. She is not the brightest dragon in the cave. My three favorite, (((◊_◊))) - The Exceedingly Rare Strange Fish! (((®_◊))) - With An Exceedingly Rare Monocle! (((§ _◊))) - With An Exceedingly Rare Evil/Crazy Monocle! They can all get a Rare Monocle (((Ç _^)))/Exceedingly Rare Monocle (((®_^))). Oh, I thought she was crying for a deeper reason. Hmm, I really need a new character archetype. I've already done three 'loners' who make good backup in a fight. Iktria just had one of her "smart" moments. I find that most of my characters are the quiet calm types who usually assist others. It's strange, but they all turn out that way. I try to make mine a bit chivalrous. It's just something that I think people/characters should be like. the majority of my Characters are like Trebos, one of my characters in Dying Dynasties. I'm not sure how Cerise is though. What do you guys think? for my first RP character in a while, I think i did pretty good.... what do ya' think? That is rather apparent. Is she going to become nicer in the future? No, she does not realize she is a jerk, she thinks everyone else is mean. And her definition of "useful" is a little off. well what do you expect from a hatchling that is not even a day old? She thinks someone is useful if they are not mean to her. EDIT: Them not to be able to talk? Well, yes. I intend for Troulce to be a bit quieter and more observant if that's even possible, though.